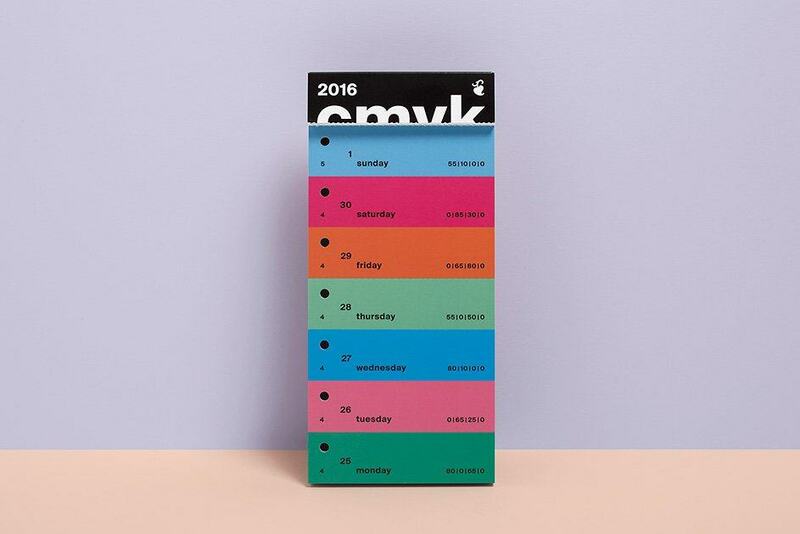 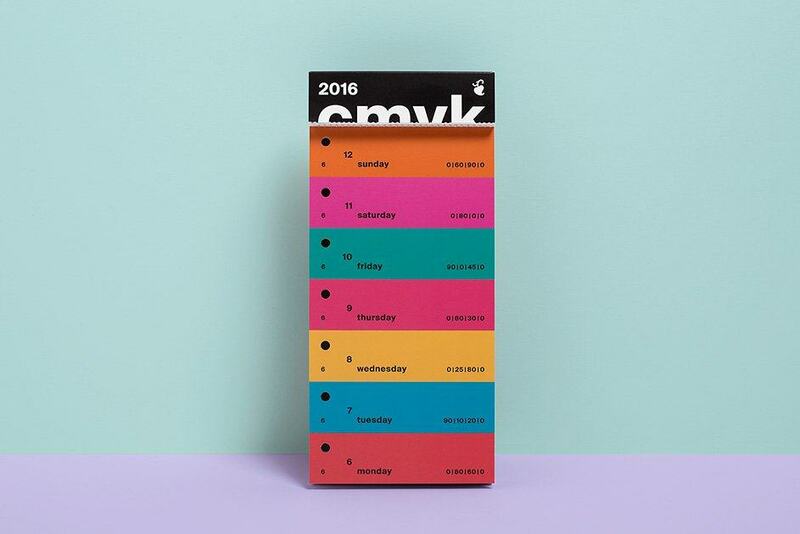 I need to get my hands on this tasty color swatch calendar for 2016d, designed by Peter von Freyhold, which you can see in his portfolio. 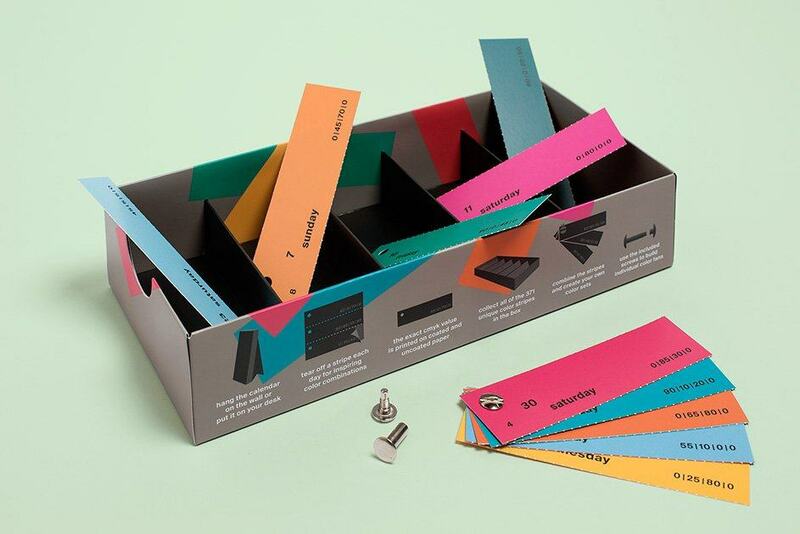 Something satisfying tearing off coloured swatch strips to count down ones life; bit like the joy of those sticky coloured tabs to mark pages in books etc. 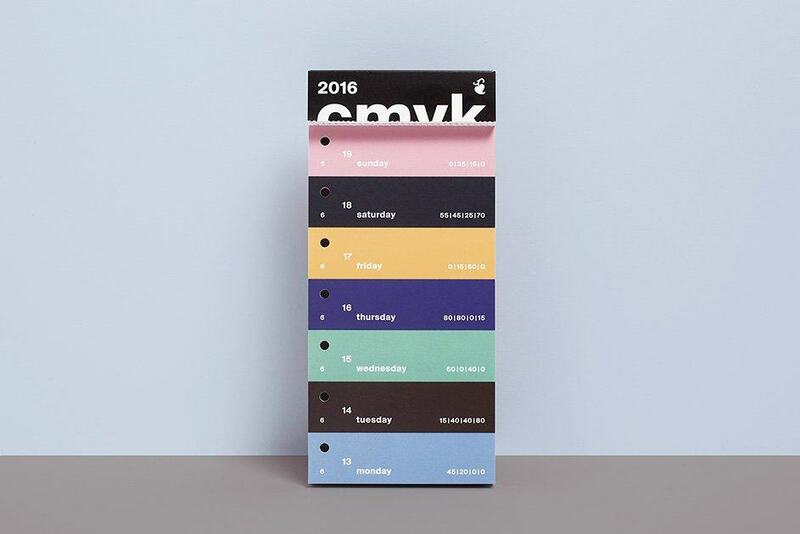 Interestingly for me this is the 3rd edition of the colour swatch calendar, so not sure how I missed the previous editions. 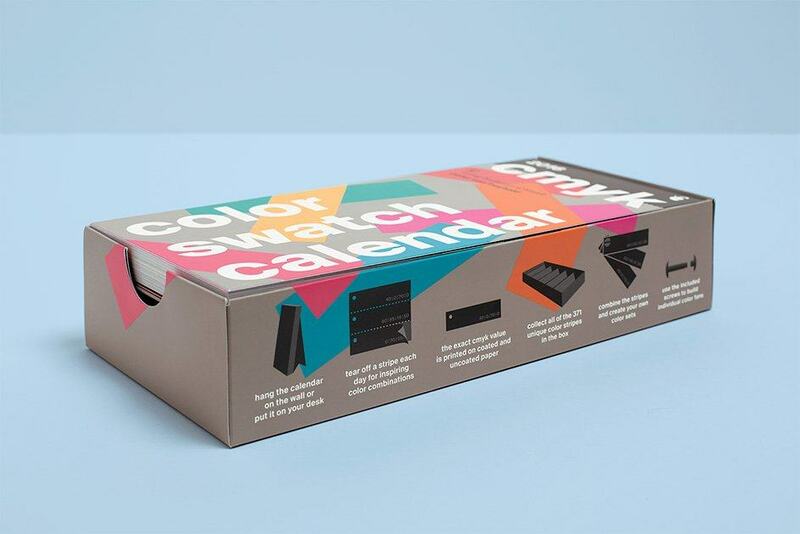 Peter von Freyhold: “The third edition of the color swatch calendar reappears in a new design, binding screws with another 371 colors, international calendar and box included. 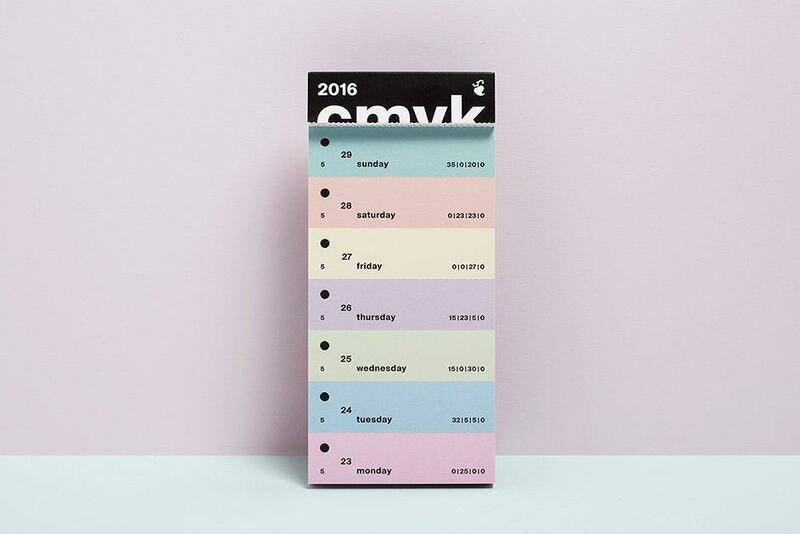 The color swatch calendar is the daily inspiration for all who love the colors. 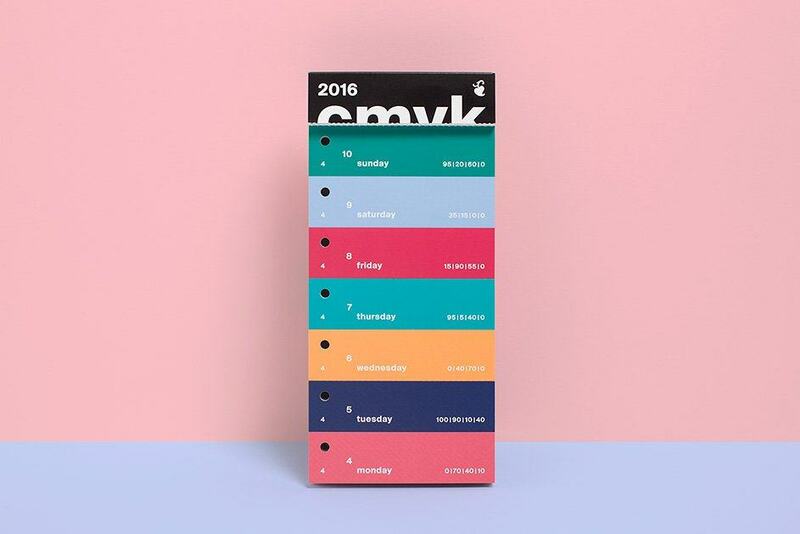 By tearing the color pattern stripes arise every day new and surprising combinations. 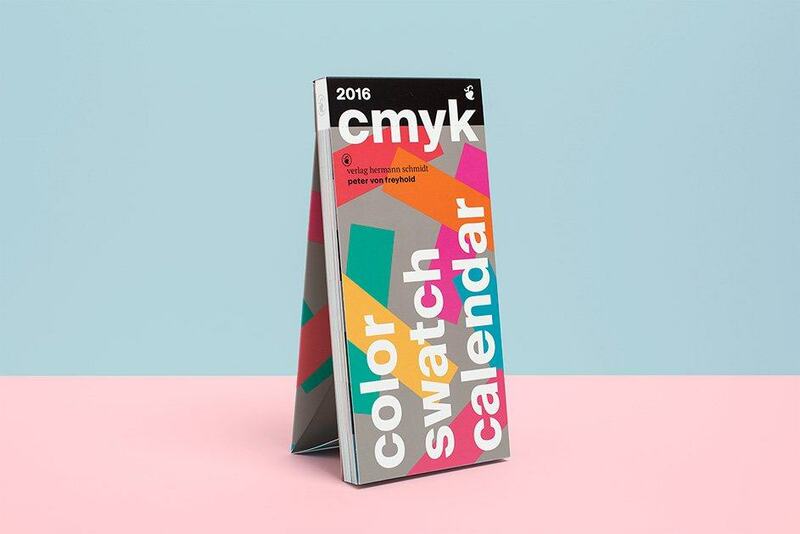 Printed on both sides coated / uncoated chromoboard the individual sample strips can be put together using the binding screws to individual color charts. 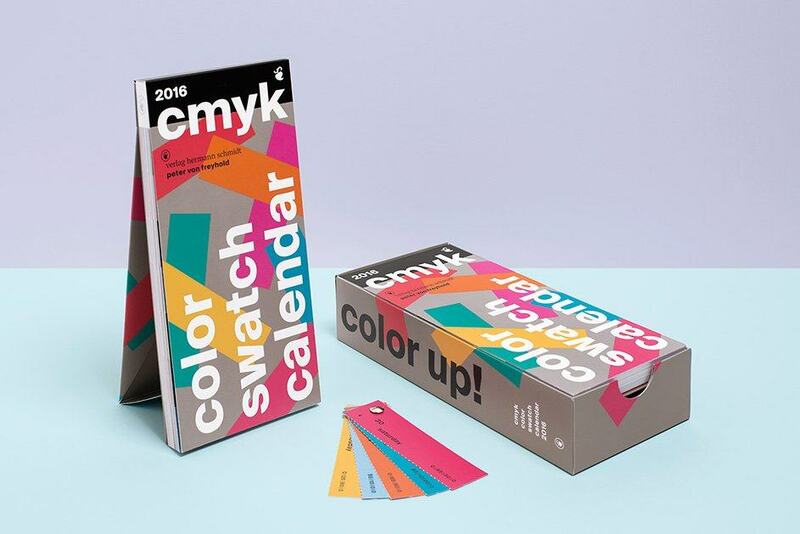 The exact CMYK color values ​​are each listed on the strip. 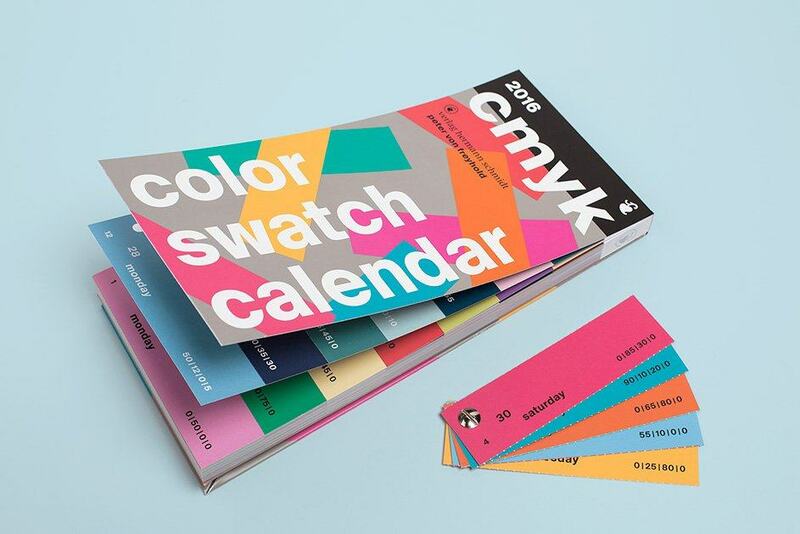 The calendar shows 371 selected shades that play together on the weekly as color compositions.